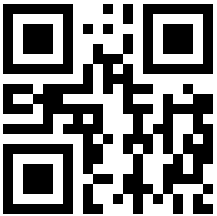 Many people keep items in their home that have great monetary or sentimental value. One of the best ways to protect your personal valuables is with a safe that you can conceal in the walls of your home. Wall safes can provide more protection than others, but you may not know what to look for when you shop for the right one that fits your needs. There are several features to consider as you review various models of wall safes, and the following can provide some insight as you get started. Wall safes are built to offer protection from theft, fire or both. The level of protection you get is typically in keeping with the price range that you choose to pay for your safe. Assess your priorities as you compare prices on different models, and choose one that has the best features and quality you can afford. A wall safe not only offers you the convenience of having your valuables protected securely in your home, it also saves you the ongoing cost of a safe deposit box. Quality safes receive ratings from Underwriter Laboratories (UL) to inform consumers about their level of effectiveness in different areas. This includes fire resistance and theft deterrence. The most reliable way to evaluate a wall safe is to review its ratings. Look for safes that protect the types of contents you need to store. For example, paper documents, jewels and handguns can withstand up to 350 degrees of interior heat. However, if you plan to store photographs, computer disks, DVDs, recorded tapes or photographic slides, your safe needs to have a rating that certifies that its interior temperature will not exceed 125 degrees during a fire. Each safe is rated for fire endurance as well. Home safes typically offer 30 minutes of fire protection, but you can also purchase safes with fire protection ranging from one to three hours. This is especially important if you live in a rural area which may take longer for a fire department response. When considering the type and size of wall safe you want to purchase, think about how you will conceal the safe in your home. 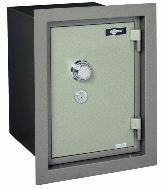 Part of the security offered by a wall safe involves hiding the safe so that thieves never find it in the first place. Consider placing it in the laundry room, covered with a rack of hanging clothes or a false fuse box cover purchased from the hardware store. Other potential locations are behind a poster in a child’s room, behind a larger dresser or bureau or behind books in a bookshelf. It is best to keep the purchase and location of your home safe to yourself, so that no one but you knows its exact location. Look for a safe that ideally fits between two studs in your wall so that it is tightly secured and difficult to remove. Usually, the studs in a weight-bearing wall measure 16 inches apart, while studs are set 24 inches apart in non-weight-bearing walls. Anchoring the safe between studs may not prevent thieves from removing it, but it will certainly increase the time it takes to remove the safe and thieves will probably move on to easier targets. Many wall safes come with a flange that fits around the safe and covers the area between the safe and the wall for cosmetic purposes. Additionally, the front of the safe is often recessed to allow flat objects, such as pictures, to hang flat in front of the safe. Determined thieves bring tools with them and may attempt to pry open your safe. Some wall safes have two compartments: one that is easily seen, and another that is hidden. This allows you to place more valuable items in the hidden compartment, so that thieves overlook them. Additionally, UL rates some safes for the degree of burglary protection they offer. For example, a safe rated as TL-15 can withstand 15 minutes of attack from a burglar using typical tools. Even if a wall safe is not rated for burglary though, it still offers protection. Most thieves go for objects that they can grab as they work their way through the home one time. Once they have their arms full, they usually leave the house quickly. Wall safes come with different types of locks, and you should choose the type that fits with your personal preferences. For example, you can have a dual-lock safe that can only be opened by knowing the proper combination and having the key to the lock. A biometric fingerprint lock works well for wall safes that store handguns. If you need to gain quick access to the safe’s contents, your fingerprint can open the safe immediately. Many safes also come with electronic locks that are accessed via a numerical keypad. Finding a wall safe that fits your needs is simple once you know which characteristics to look for. 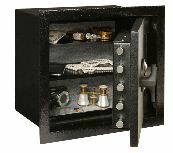 Protect your valuables from fire and theft by purchasing a quality safe that offers both fire and theft protection. Consider the optimal location that can keep your wall safe concealed from intruders, and enjoy increased peace of mind regarding the safety of your valuables whenever you need to leave home. Michael’s Keys is a Fort Worth / Dallas full service Locksmith that carries a wide selection of wall safes at very reasonable prices.